In 1923, a story coming out of New Jersey was picked up by the well-known national literary magazine The Smart Set. 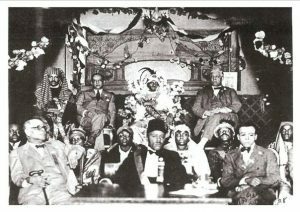 A man, claiming to have religious authority derived from his connection to Mecca, had begun a movement for spreading Mohammedanism among the Negroes of the United States. Moslem groups have been started in New Jersey, one of them at Newark, where a mosque has been established. From there the Islamic missionaries will move upon the South The figure leading this movement had, several months earlier, made headlines in various U.S. newspapers. 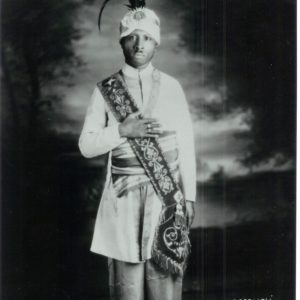 In one front-page article, this man of African descent was depicted wearing a fezand it was reported that he had been proclaiming his movement to be both Islamic and Masonic —a “Mohammedan Masonry”—and spoke of his mystical and Egyptian connections. 2 It was later relayed that he had been leading a number of New York City Muslims in attempting to “win Negroes to their Mohammedan faith by stressing the fact of the absolute equality of races and genuine brotherhood under Mohammedanism, as in opposition to the well-known attitude of white Christians. A “Mecca Medina Temple of A.F.& A.M.” filed for incorporation on July 15, 1920 in Youngstown, Ohio. 15 Ten years prior to this,on February 4, 1910, it was reported that an African-American Masonic lodge by the exact name referred to by Suleiman had been incorporated in New York City “with the approval of Supreme Court Justice Gerard.” 16 This news brief notes that “[a]mong the incorporators are the Rev.Robert B. Mount and Dr. Prince de Solomon.” 17 On February 20 th , another news brief indicated that a Henry Ratleray of Long Island City was made the director of the organization. 18 I have found no other mentions of a Henry Ratleray. And, while there are a few newspaper r references to a Robert B. Mount, none indicate any Masonic or Islamic ties. Who these two figures are,then, and their relation to any future Islamic movement, therefore, remain uncertain. The name of the third man, however,—the Dr. Prince de Solomon—may provide us with some clues. The first occurrence is with a Prince De Salomon or De Solomon, listed as a lodger at a building in the twelfth ward of Manhattan in the 1910 census. Here he is described as a single, forty-six-year-old black African who had immigrated in 1908; he was literate (in English, presumably), and in the column titled“occupation” is written the phrase “own income.” 22 This 1910 date, his race, and the New York connection are consistent with the Dr. Prince de Solomon described above. The other census listing is for 1920 (recorded in January of that year); this time the person’s name is Dr. 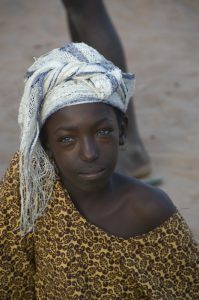 Prince D.Solomon, a single, black, fifty-year-old Arabic-speaking Egyptian. His profession is listed as“minister” and he was residing as a boarder in the town of Mercer in Pennsylvania, just thirty miles from Youngstown, Ohio where, as we have seen, a Mecca Medina Temple would be organized in July of that same year. The New York World interview In response to Suleiman’s letter, the World sent a reporter to his residence of 143 West 130 th St. where the two talked for four hours. 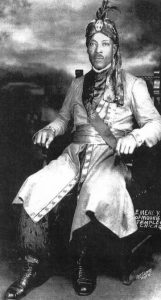 Suleiman told the reporter that he was aware of the white Shriners’ attempts to sue the AEAONMS in order to prevent them from having their own separate Shriner organization; and Suleiman was“arranging to receive” the African-American Masons and Shriners into his “Mohammedan Masonry.” 26 He insisted that African Americans did not have an authentic Masonic charter, but he would “now…make them authentic by virtue of his authority as Eminent High Priest to grant a charter in a Masonry which he declares to be ancient and widespread throughout the Mohammedan world.” 27 Suleiman said that U.S. blacks would be allowed into his group on two conditions: that they vow, “‘by the beard of the prophet,’ that they will live according to the moral code of the Koran,” 28 —“becoming…Mohammedans,” as one newspaper described it 29 —and “that they will pay to Mecca, through none but Suleiman, a proportion of their lodge dues.